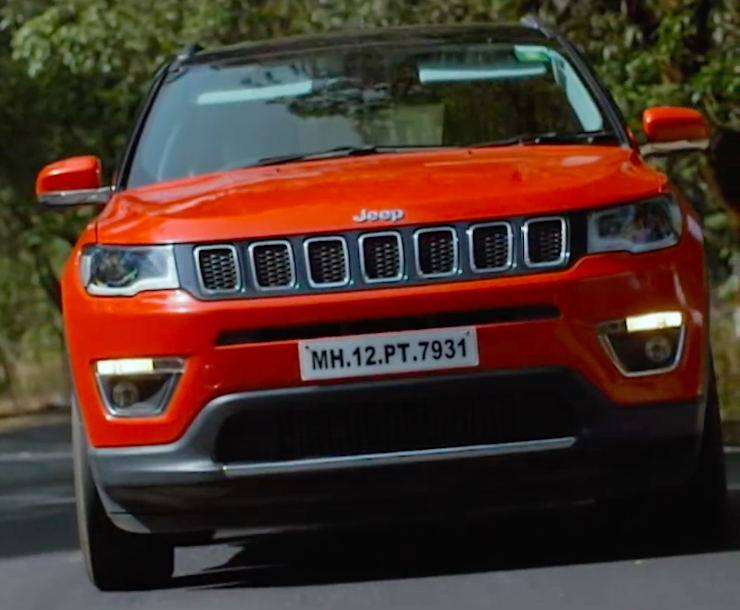 Jeep India has released a new television commercial video for its Compass SUV. This new video showcases the Compass’ all-terrain capabilities and also brings forward the continuation of the 1st anniversary offer. For the uninitiated, the offer was rolled out last month and was valid till 31st July only. However, Jeep has decided to push this to the end of August now. The offer has now been slightly revised too. Customers looking to purchase a new Compass can either opt for 50% savings on the Freedom Pack or can stand to get benefits of up to Rs 35,000. The Freedom Pack combines warranty, regular maintenance and RSA (roadside assistance) for a period of 5 years. Last month, for July, this pack was available for just Rs 50,000, but for August, it is now available at a discount of 50%. On the other hand, we aren’t clear yet on what all is included in the second option, that of benefits being offered to the tune of Rs 35,000. If you are looking at purchasing the Jeep Compass, opt for the first offer, that of the Freedom Pack. This will go a long way in ensuring peace of mind that is very essential when you invest into an expensive product. The Jeep Compass range currently starts at Rs 15.35 lakh, ex-showroom, Delhi. And while the product had a great start in India, sales are now falling each month. For example, the Jeep sold as many as 2172 units in March but the same figure came down to 1201 for July 2018. The new, improved Mahindra XUV500 is partly responsible for this downfall. The Jeep Compass is available with a choice of two engine options in India, a 1.4-litre petrol with both manual and automatic options and a 2.0-litre diesel that is only sold with a manual ‘box. Jeep will be launching a new, range-topping version in the form of the Trailhawk soon. This will come with a 2.0-litre diesel engine but with an automatic gearbox. The Trailhawk, thanks to higher ground clearance and better approach/departure angles, is a rugged, go-anywhere cousin of the regular version. « 6 kinds of Bajaj Pulsars for 6 types of buyers: Who should buy what?